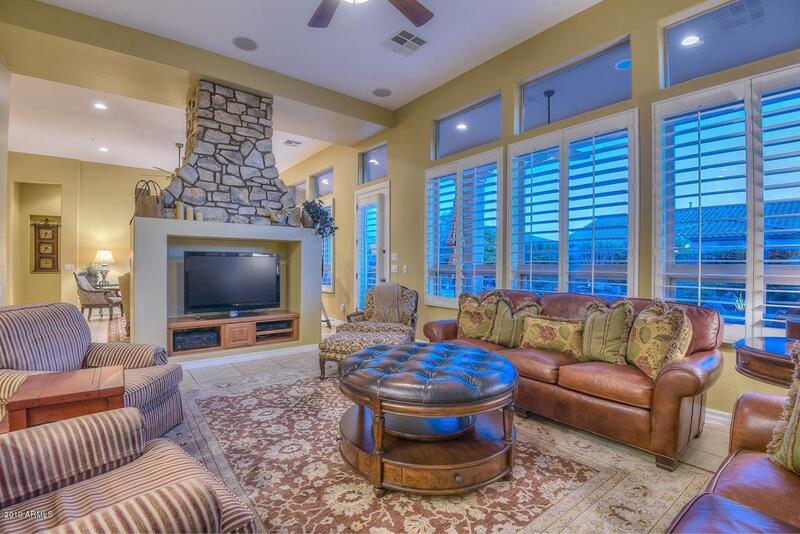 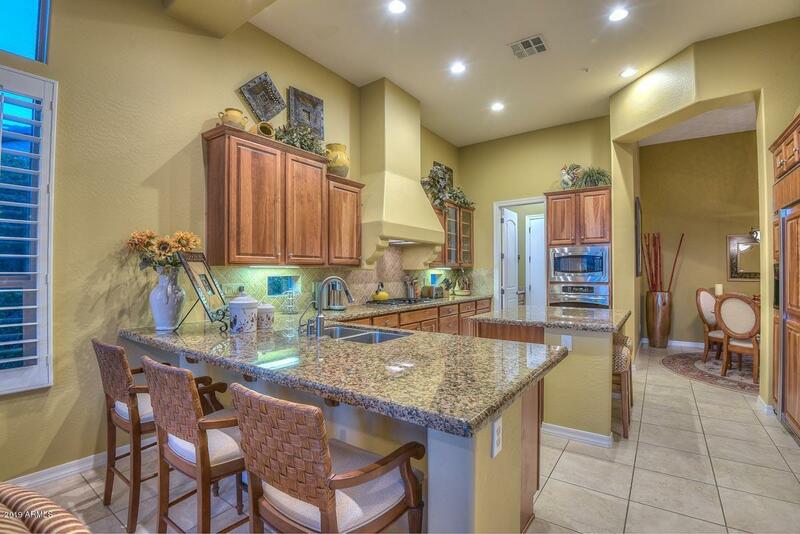 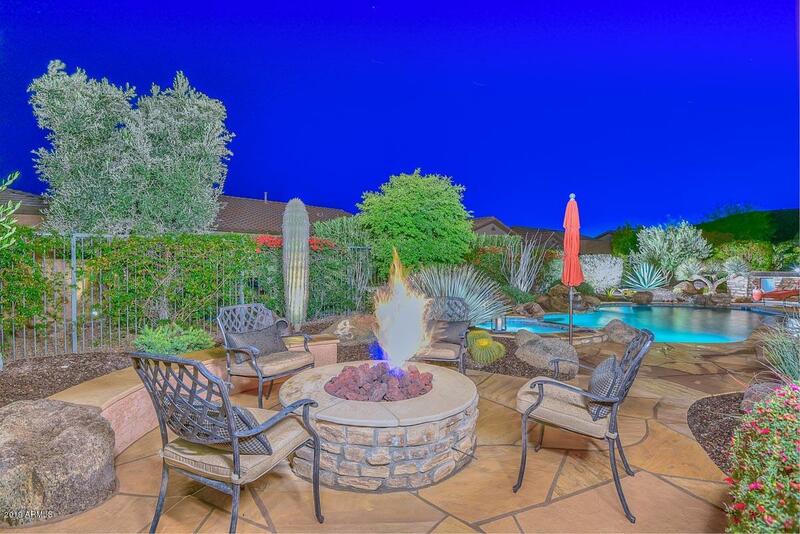 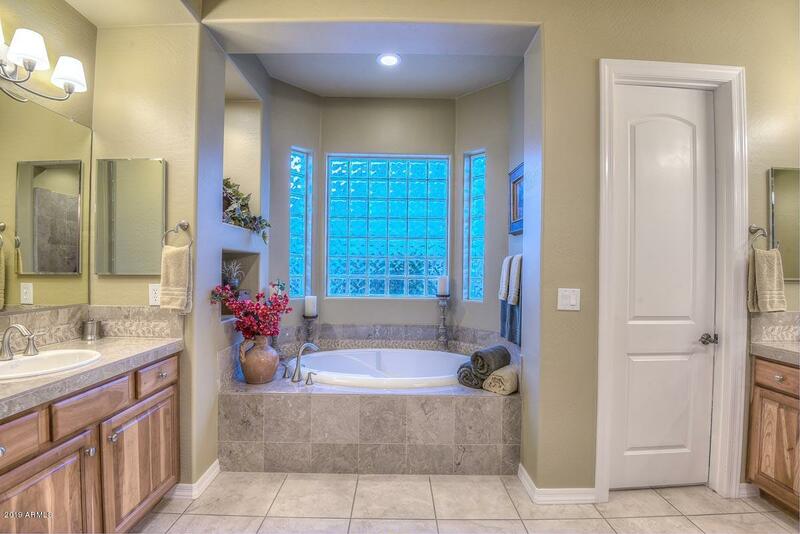 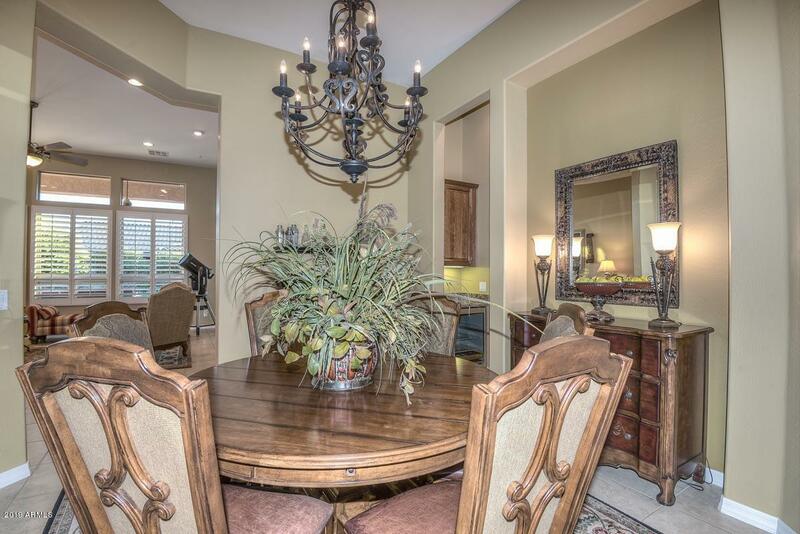 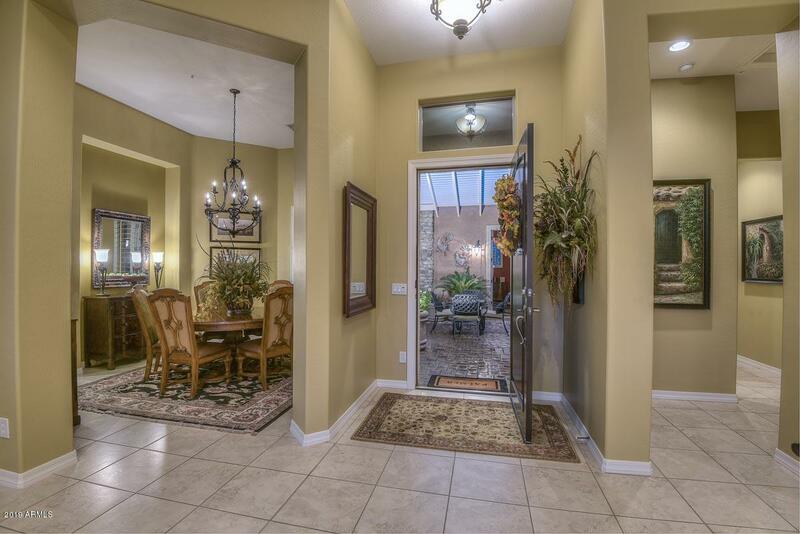 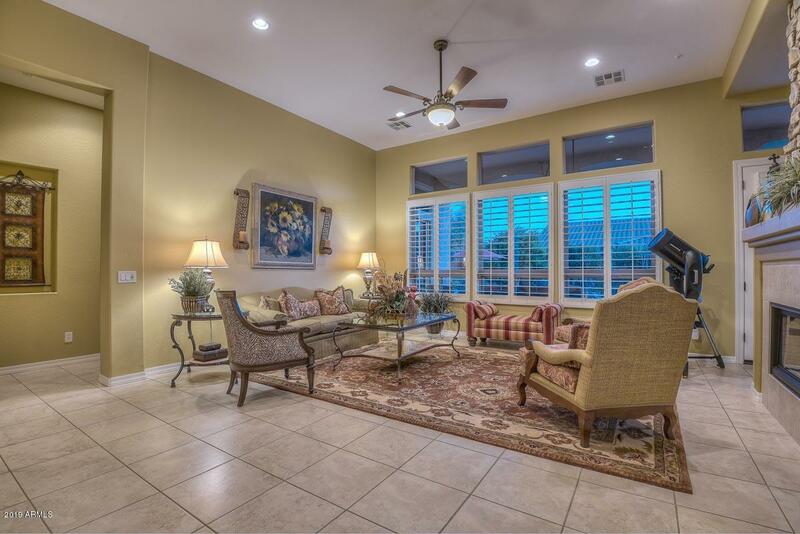 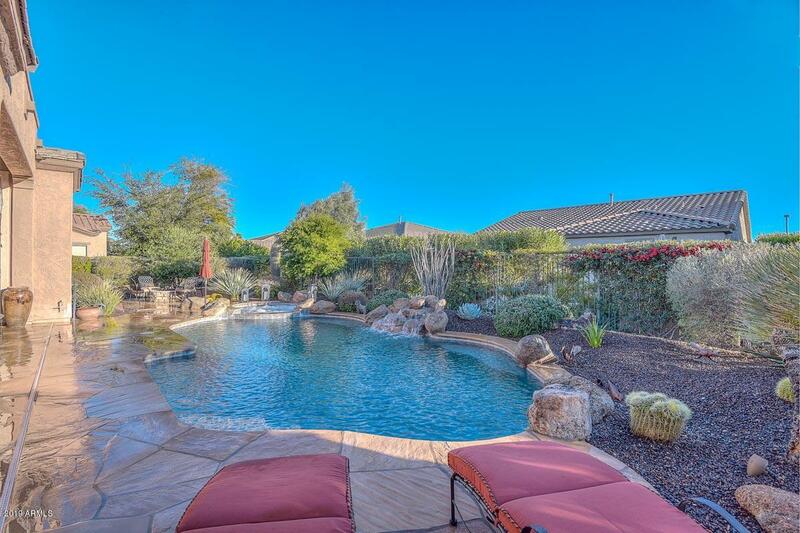 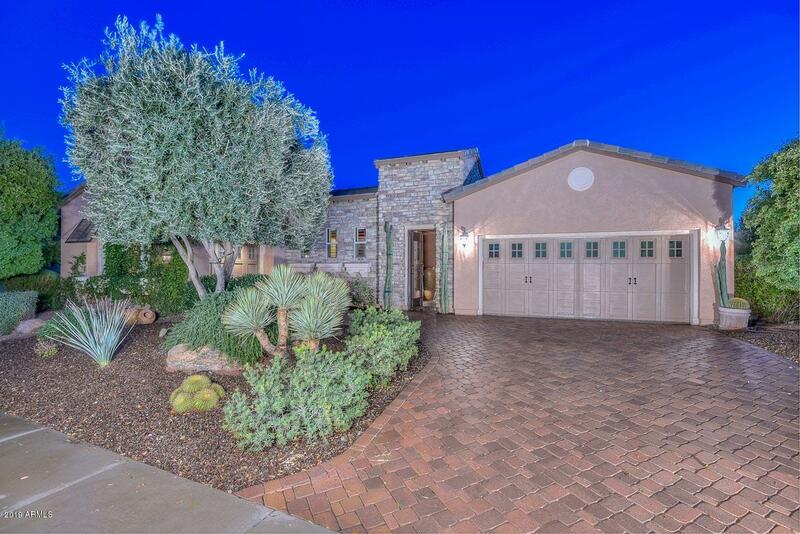 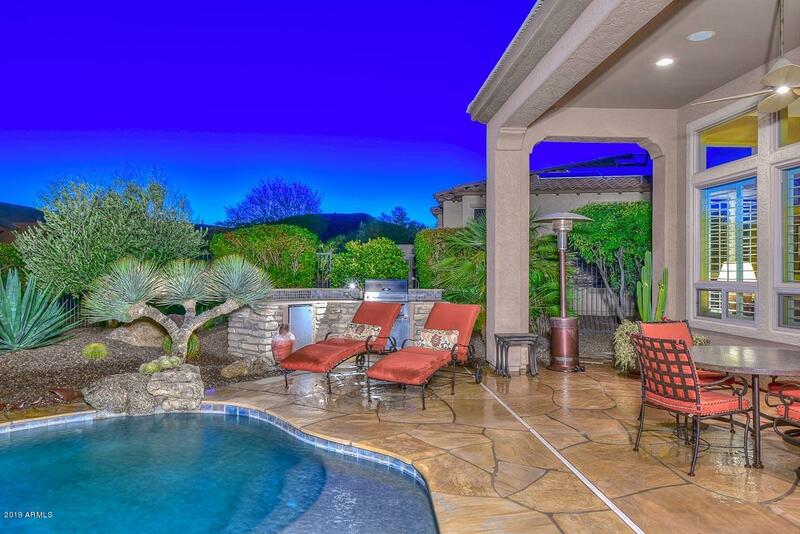 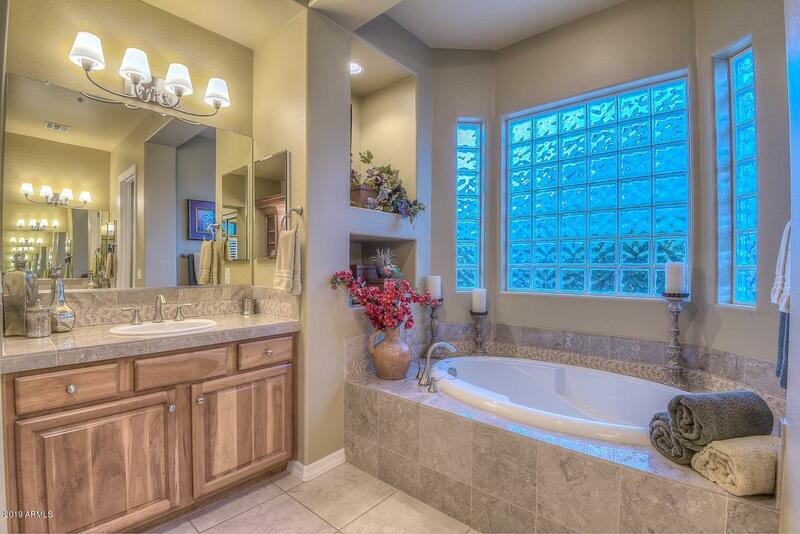 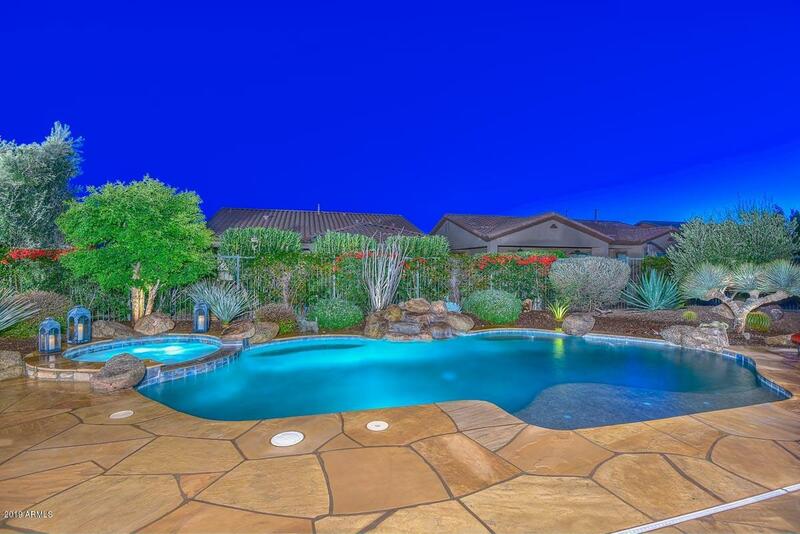 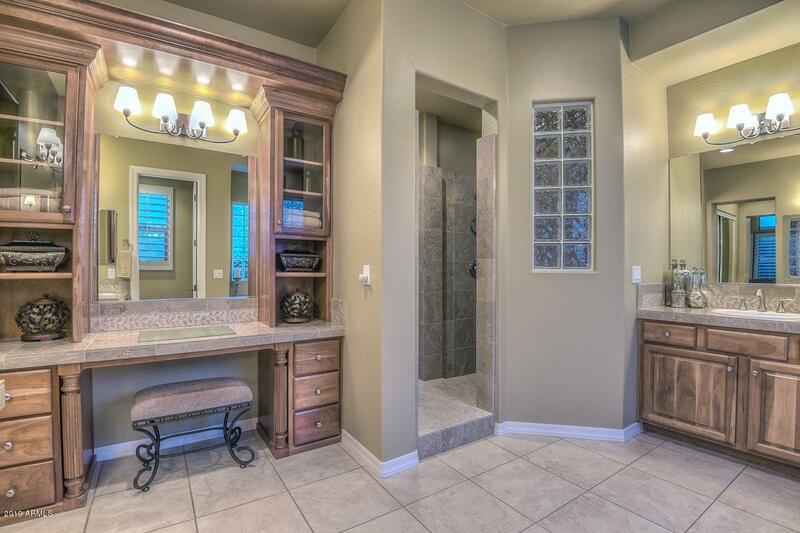 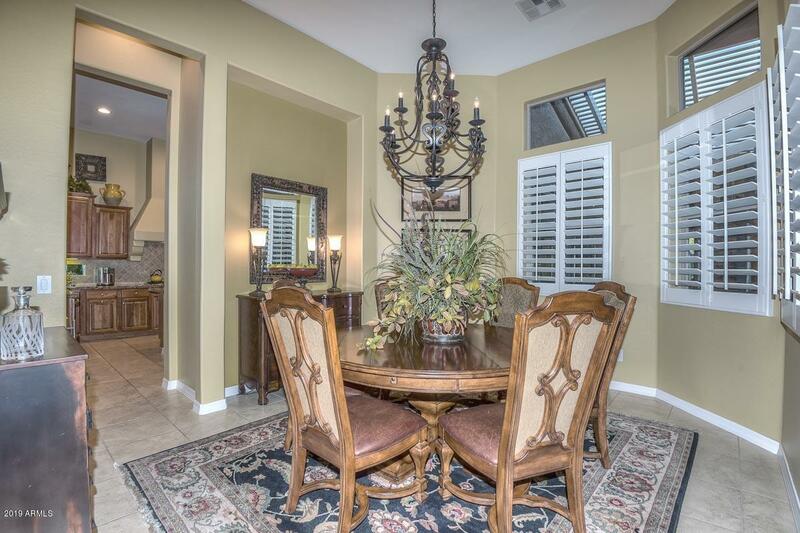 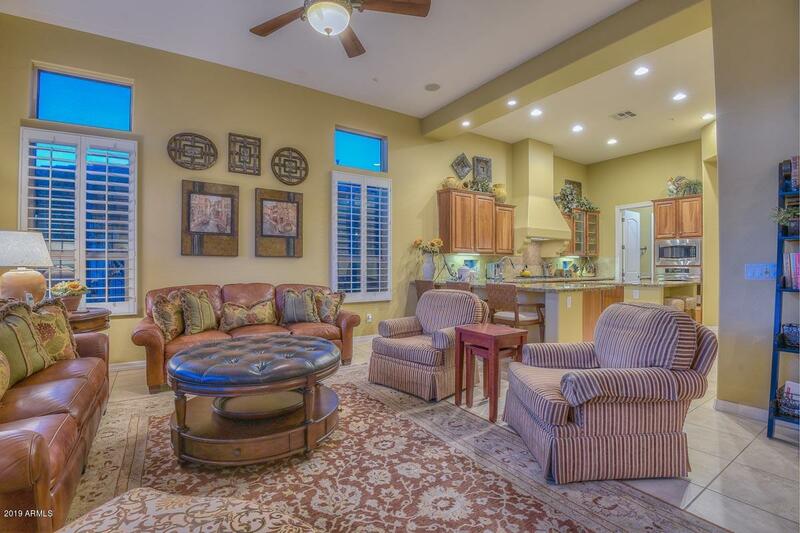 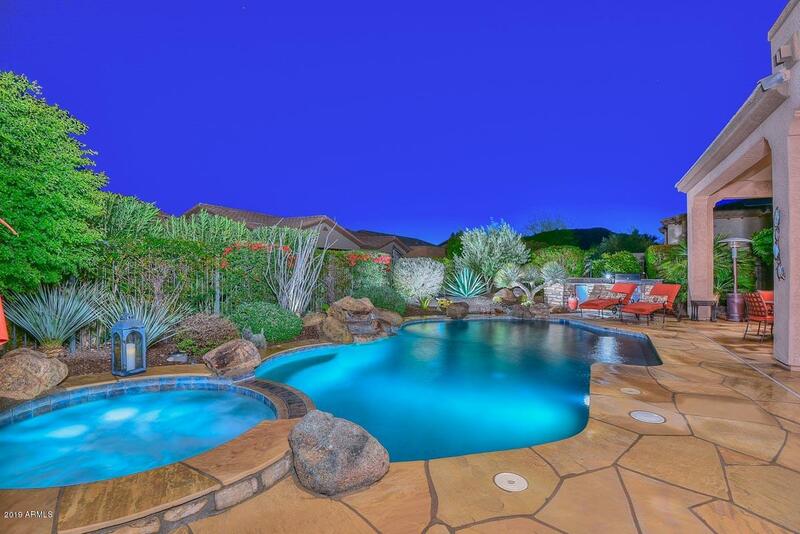 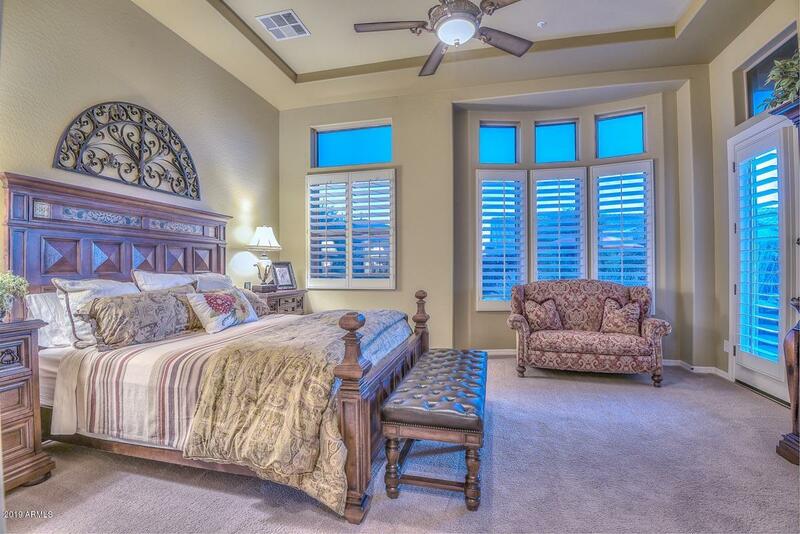 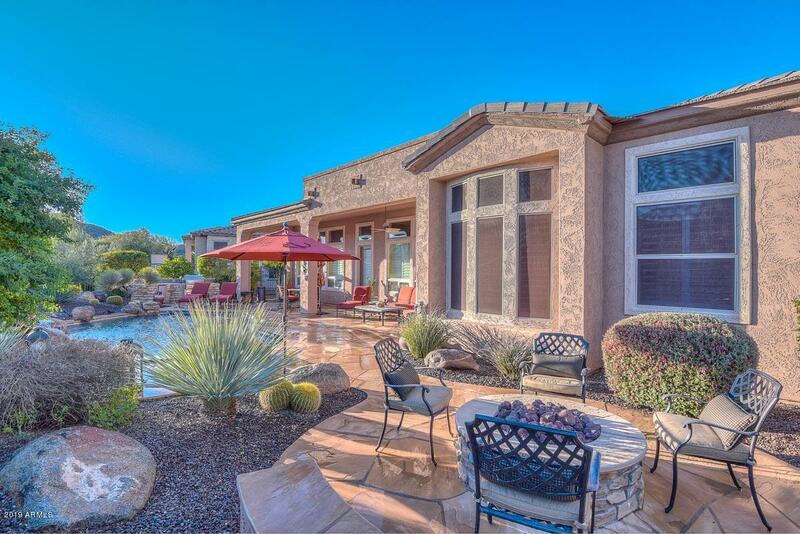 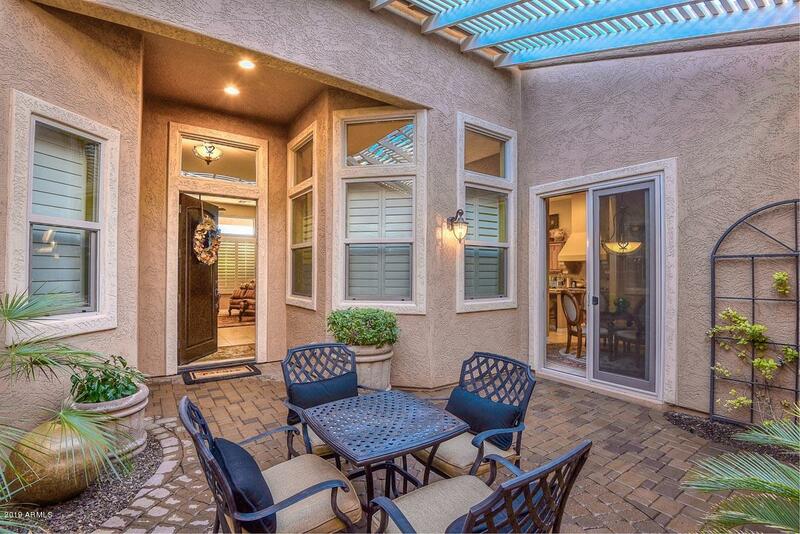 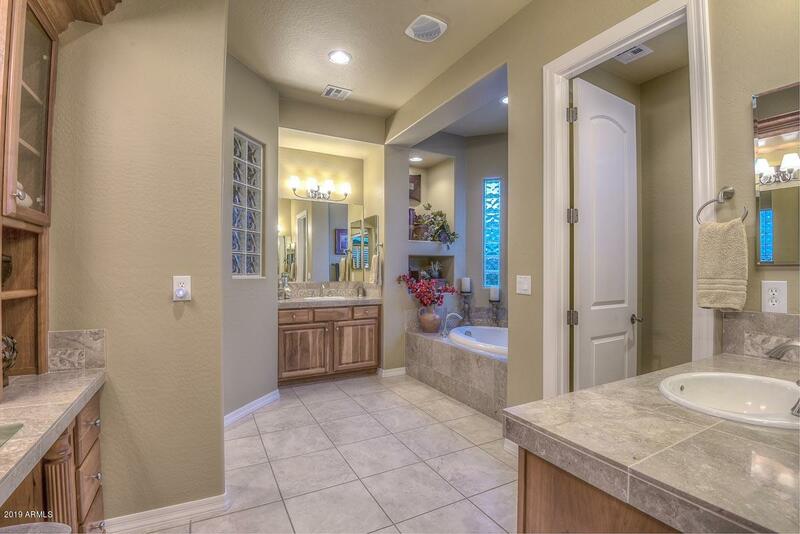 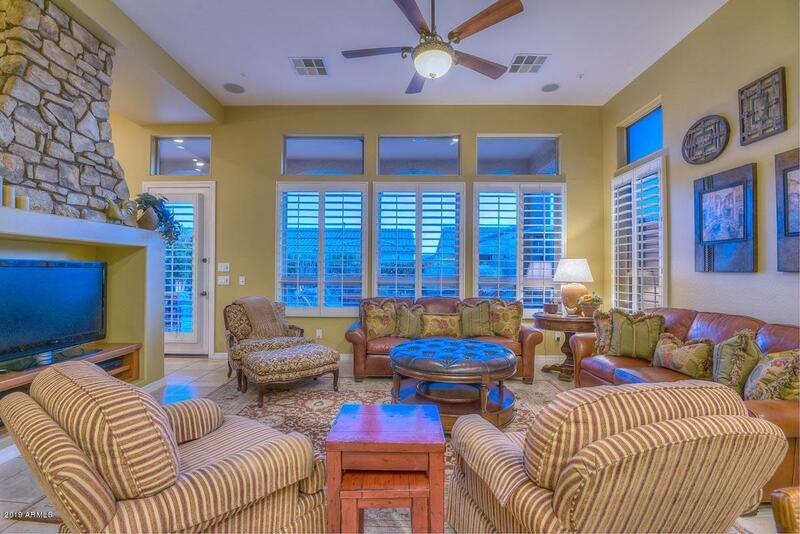 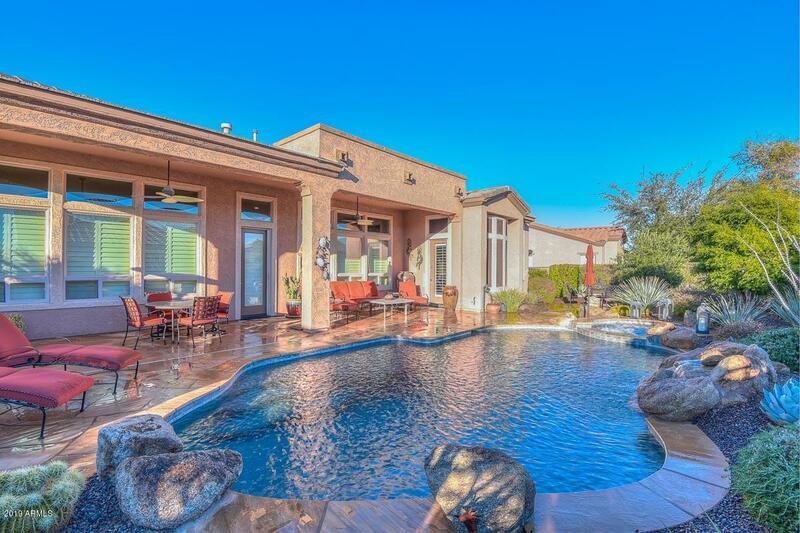 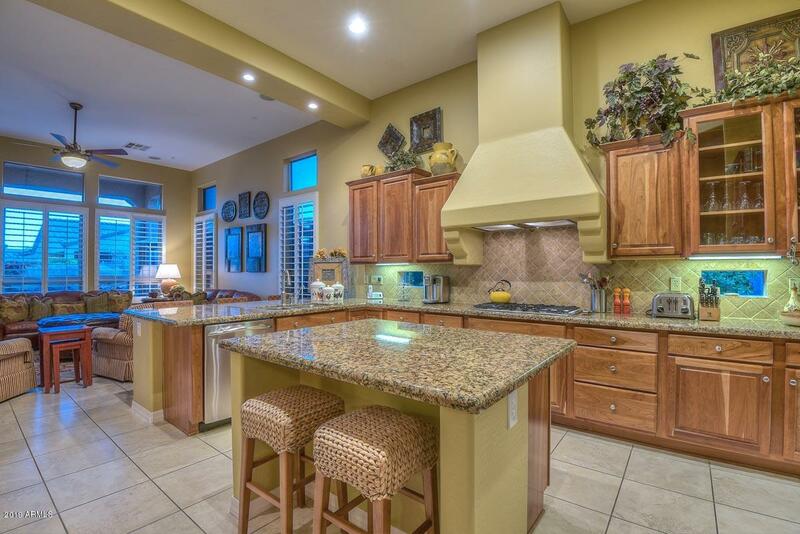 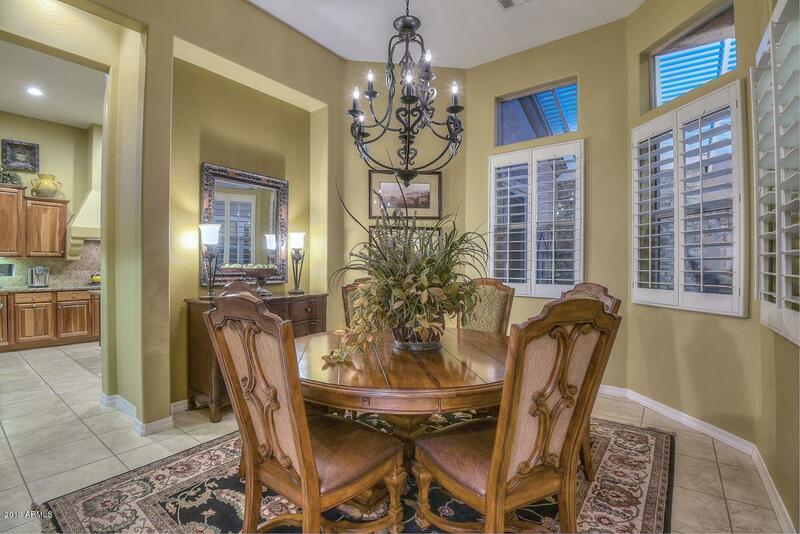 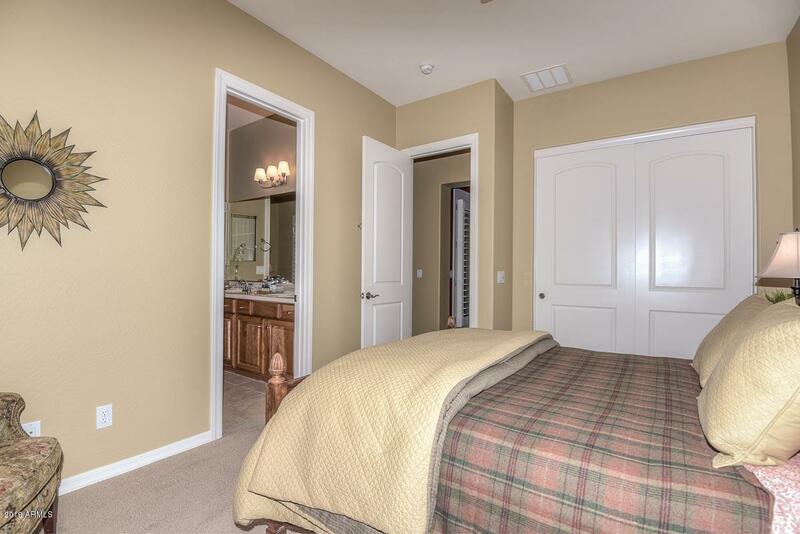 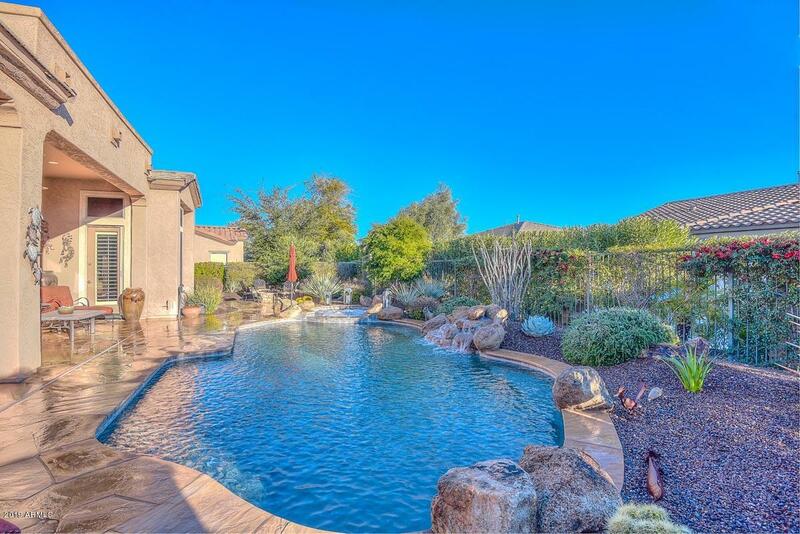 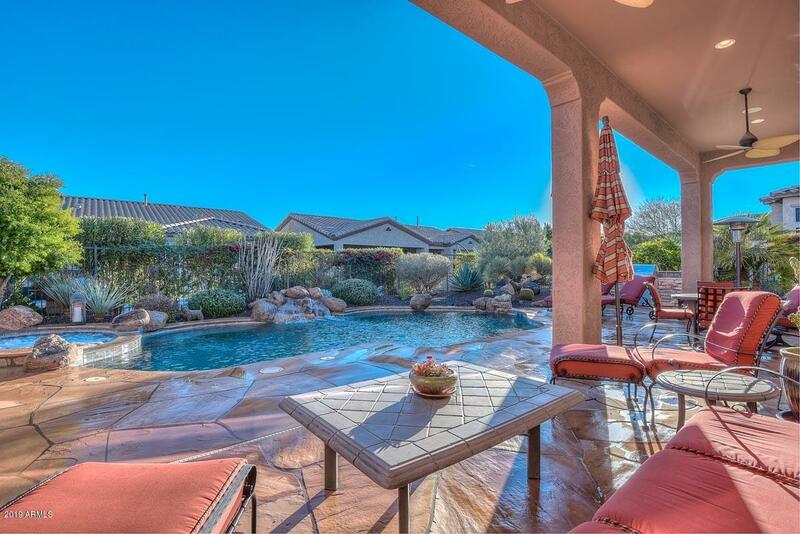 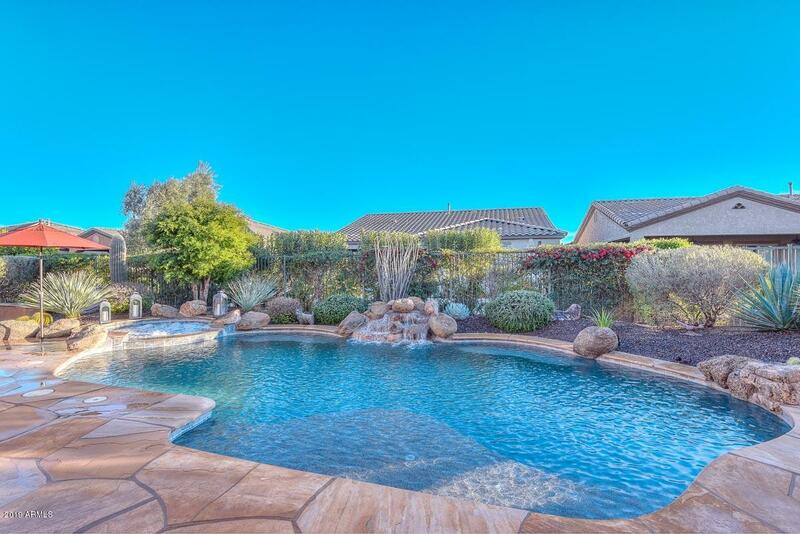 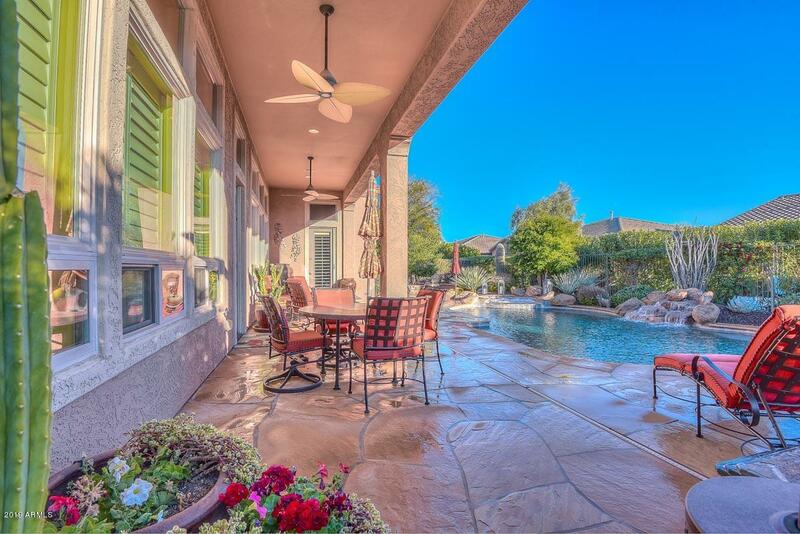 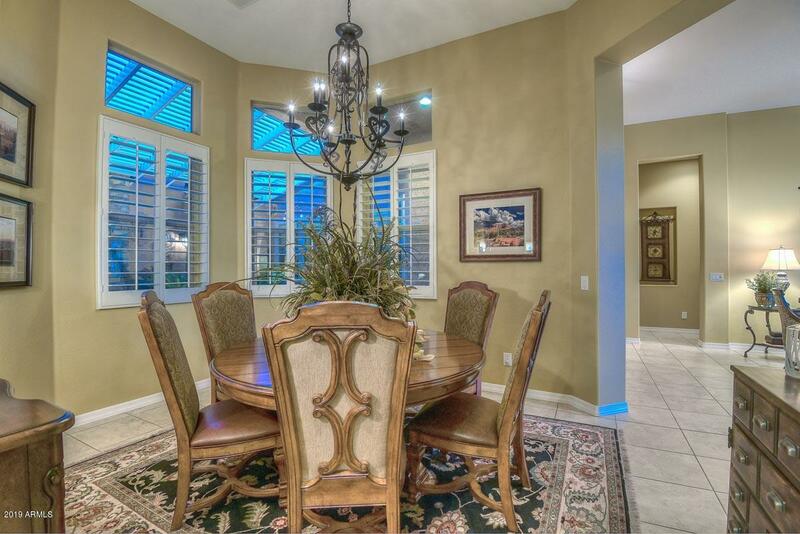 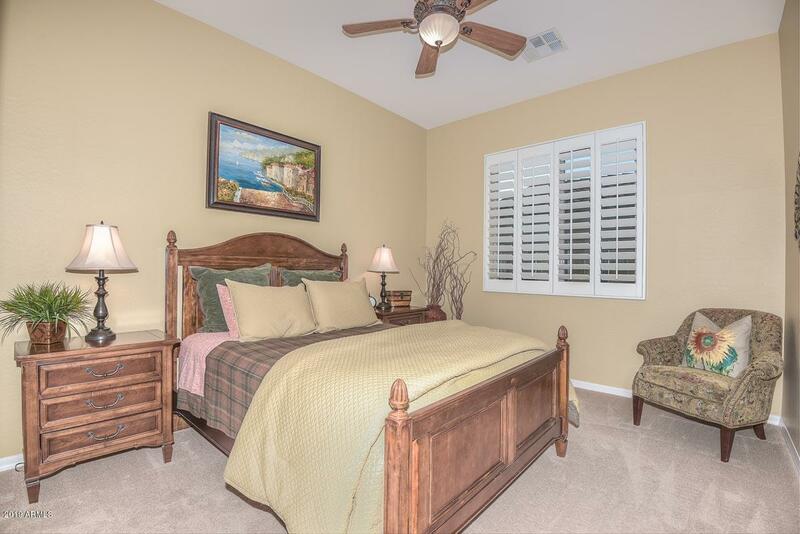 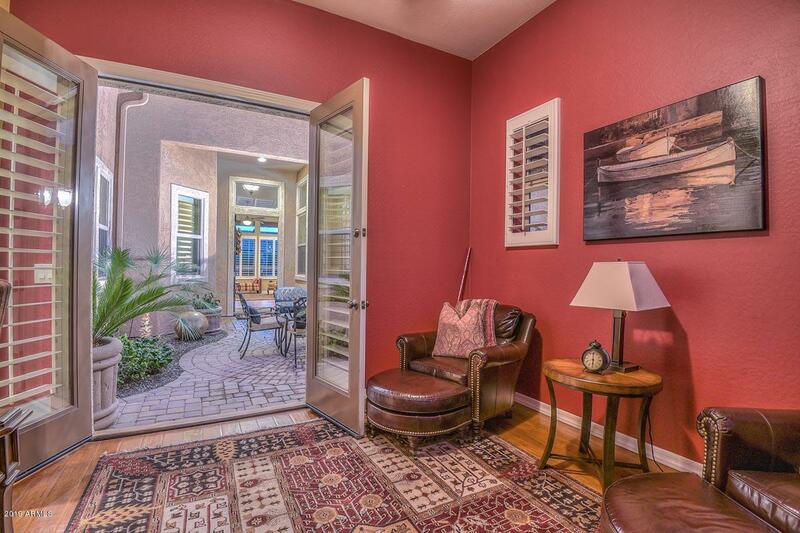 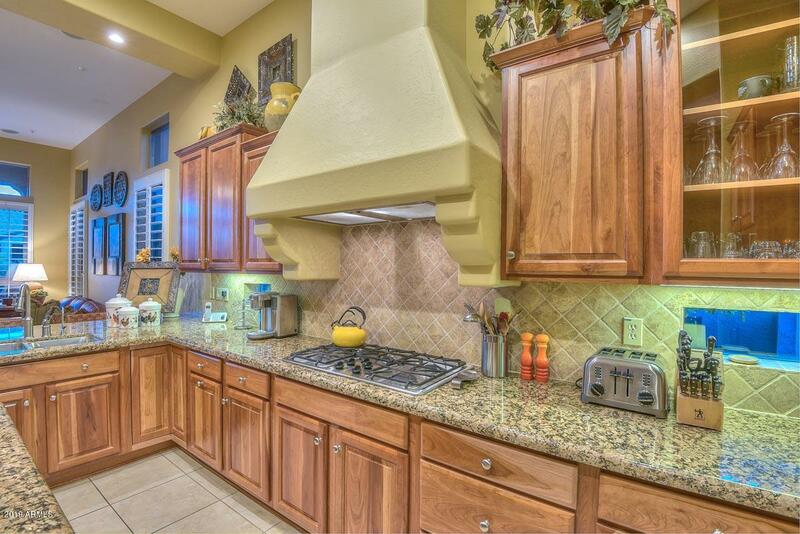 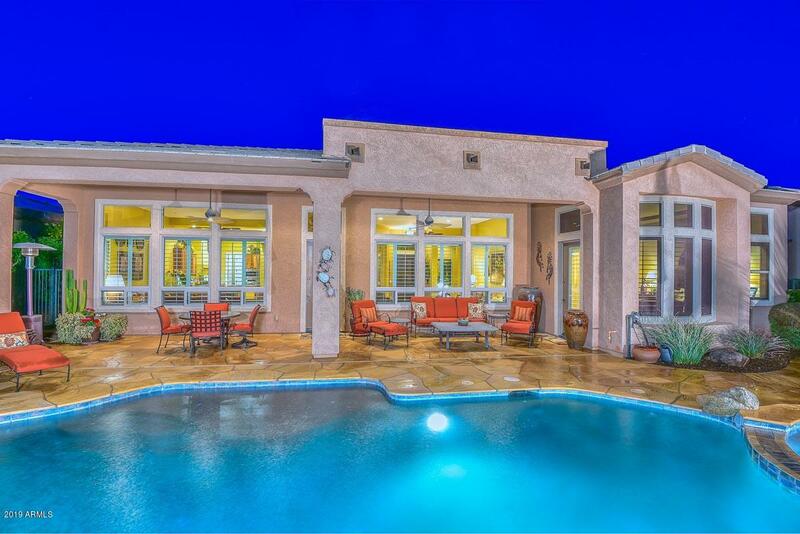 Absolutely gorgeous home in the gated adult community of Trilogy at Vistancia. 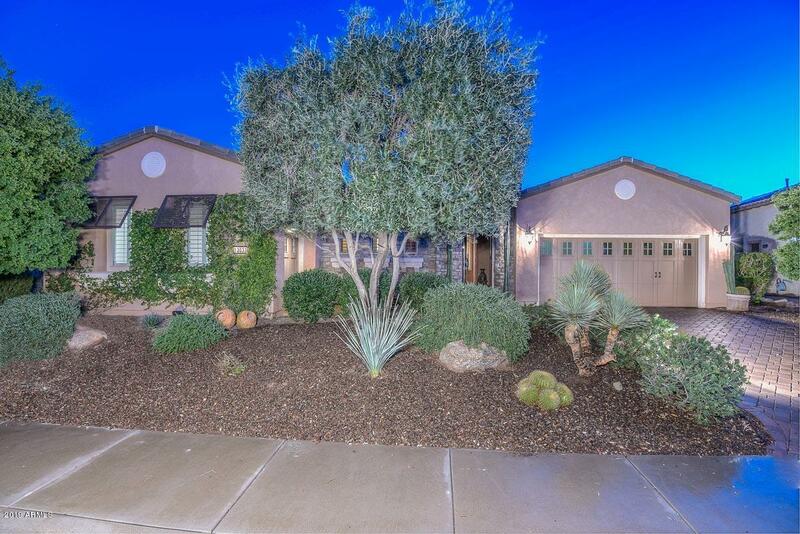 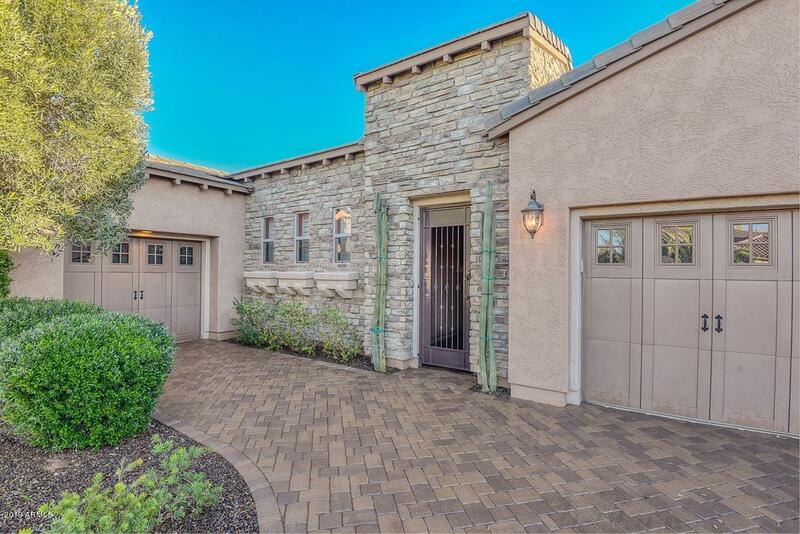 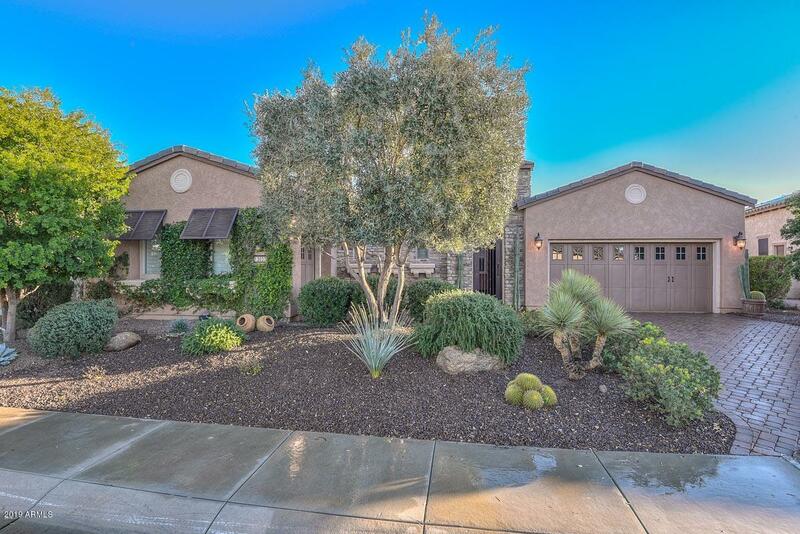 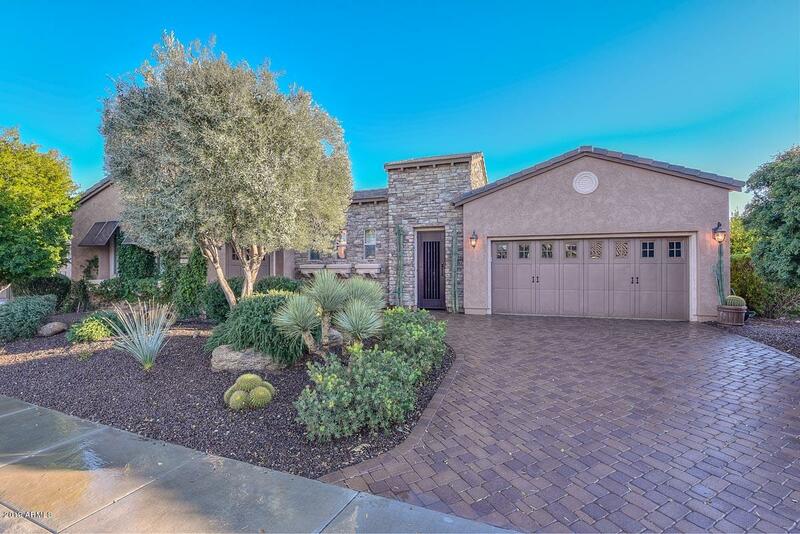 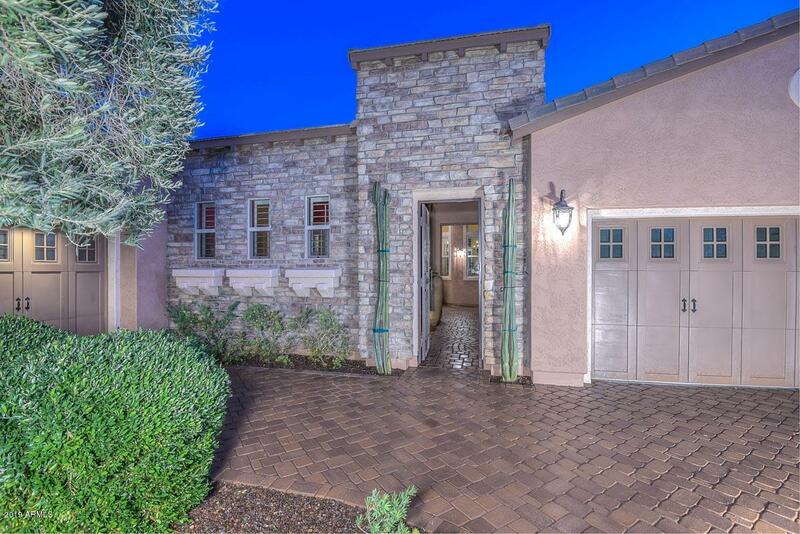 A beautiful paved driveway leads to the lovely trellised courtyard with stone accents and lush desert landscaping. 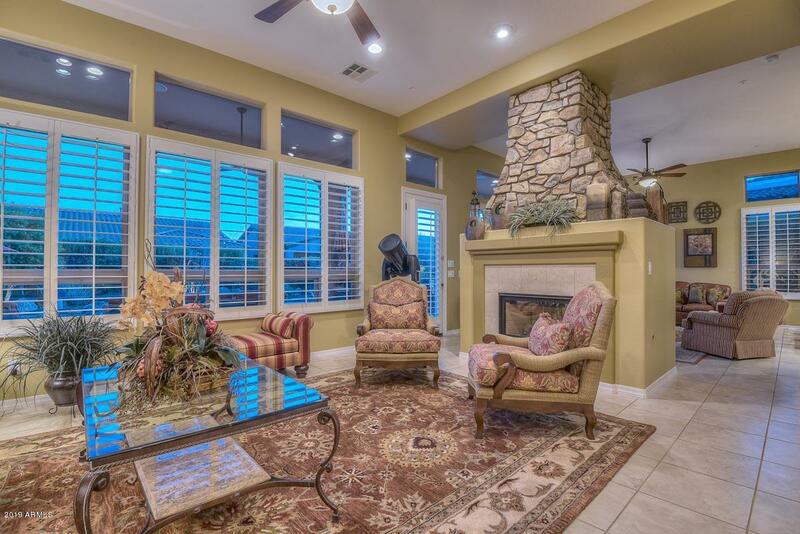 Inside you will step into an open floor plan that has a formal dining room and a living room/family room with a cozy shared stone fireplace. 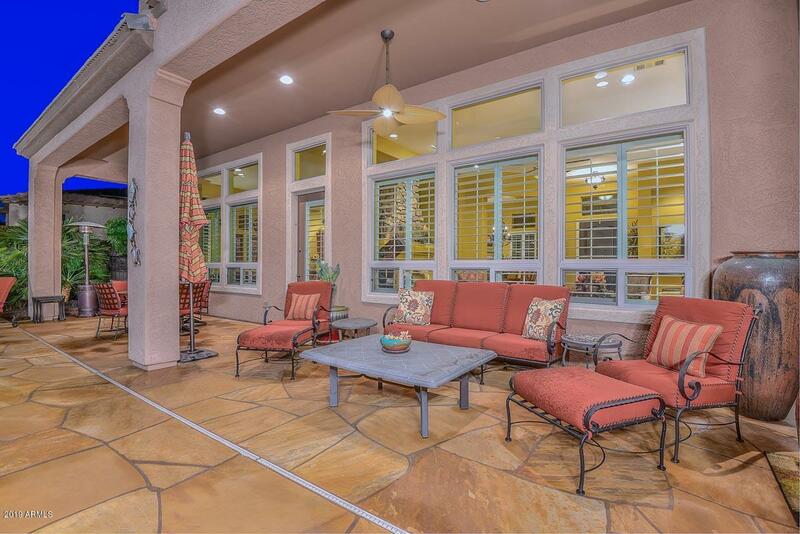 Neutral tile and wall color complement all of the windows that have pretty plantation shutters. 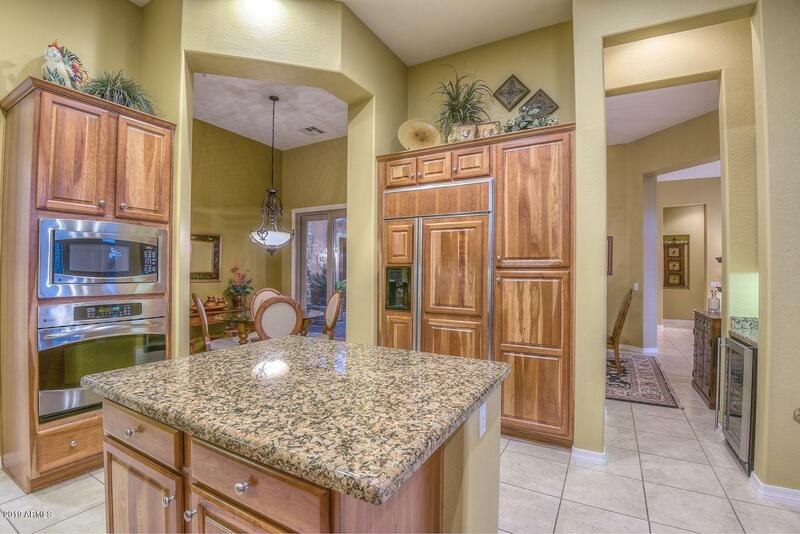 Nicely appointed kitchen with granite countertops, designer cabinets, breakfast bar, kitchen island with seating, stainless appliances and a cozy breakfast nook that looks out into the courtyard. 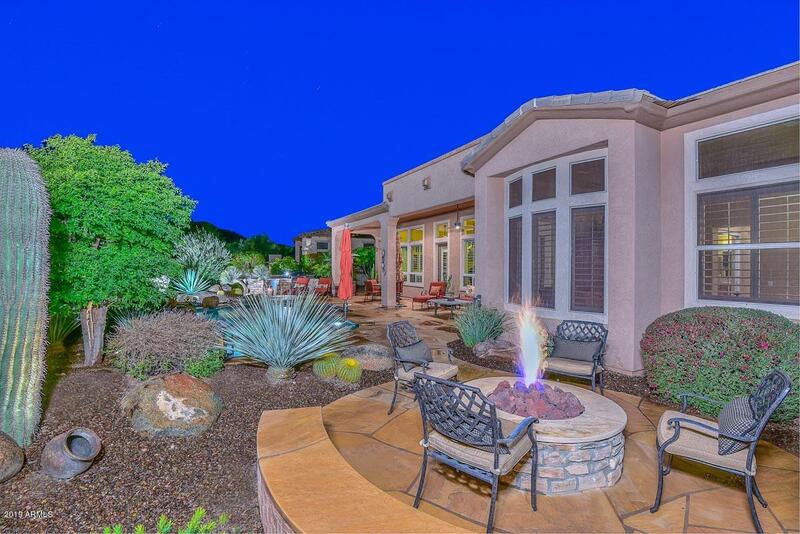 Stunning master retreat that has the same attention to detail that you will find through out the home. 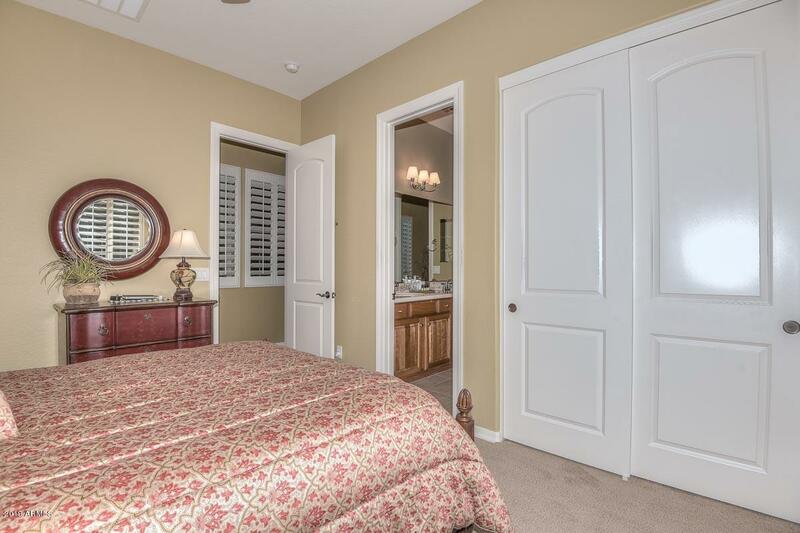 Nice bay window, tray ceilings and an en suite bath featuringa walk in shower, dual vanities with amazing cabinets and designer tile, a vanity mirror and sitting area as well as a large soaking tub and walk in closet. 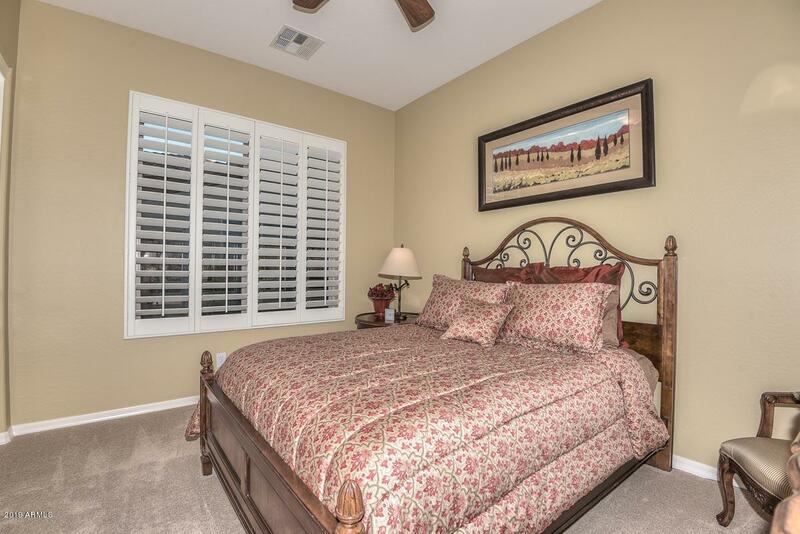 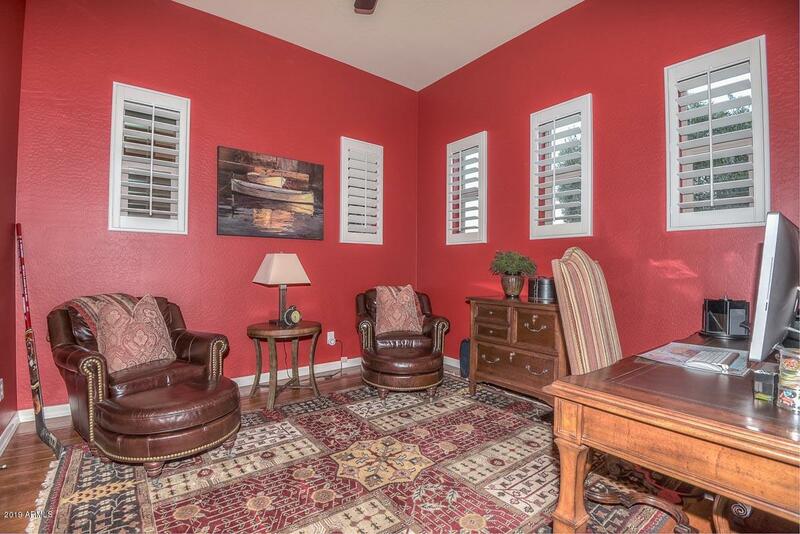 Two additional bedrooms as well as a casita located off the courtyard complete the interior of this home. 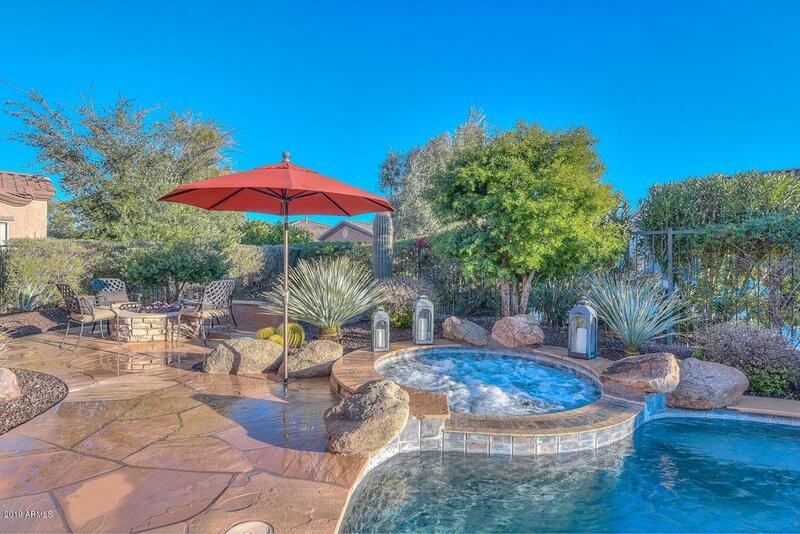 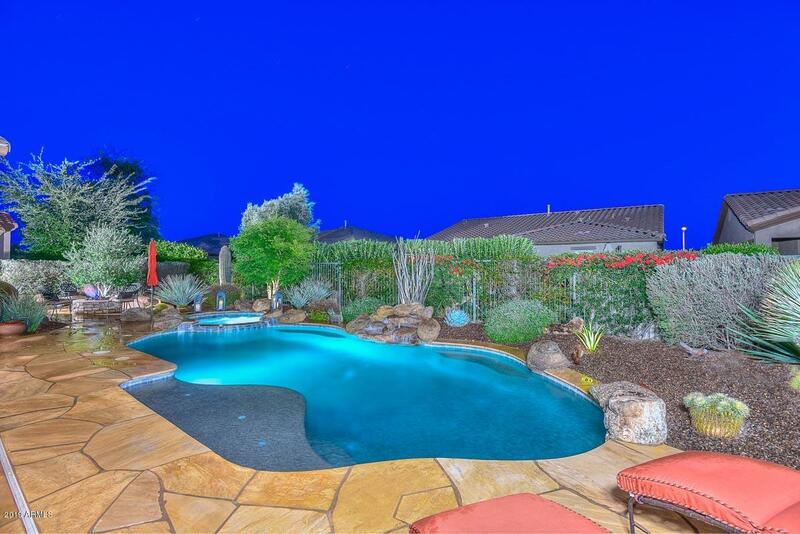 The outdoor amenities in this home are exceptional. 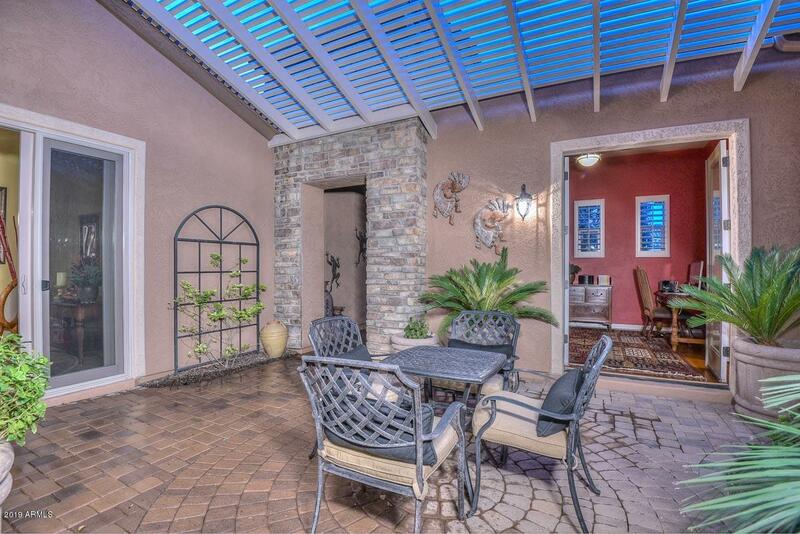 Large covered patio over looks the sparkling pool and spa complete with a relaxing water feature. 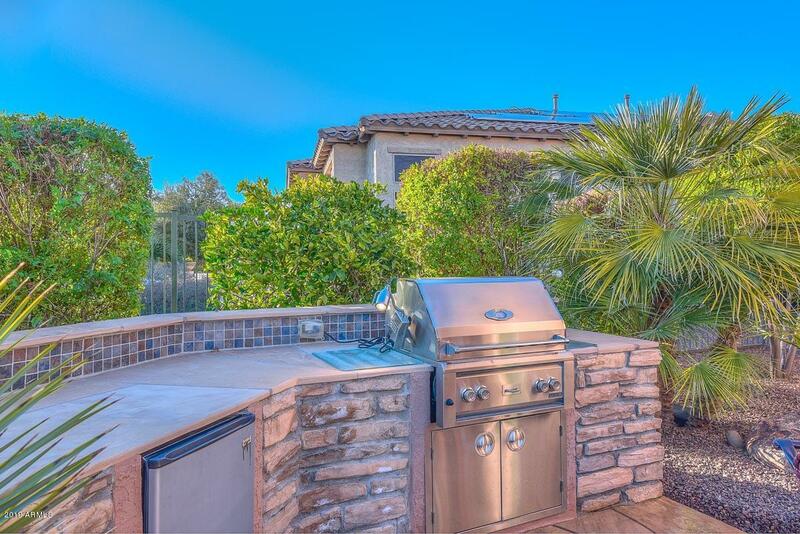 The Built in BBQ and fire pit both boast stone accents and are the perfect spot for entertaining. 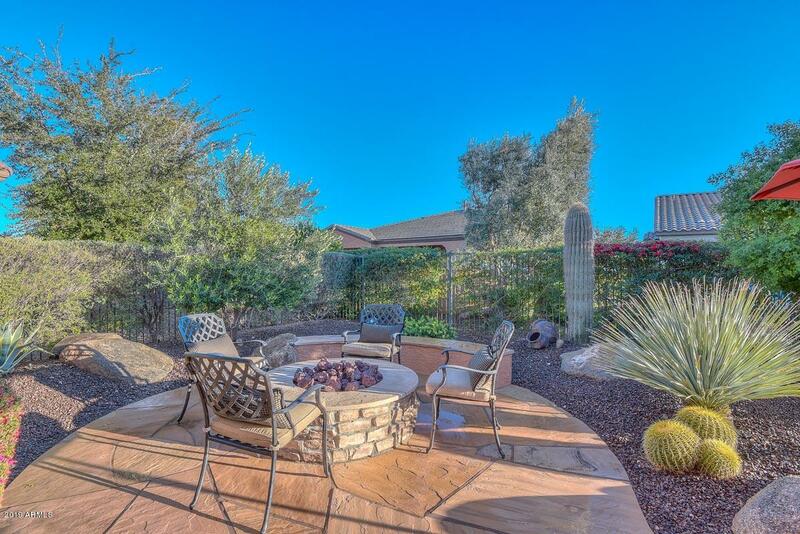 Through out the back yard you will find desert landscaping and boulders making this a soothing and serene Arizona garden. 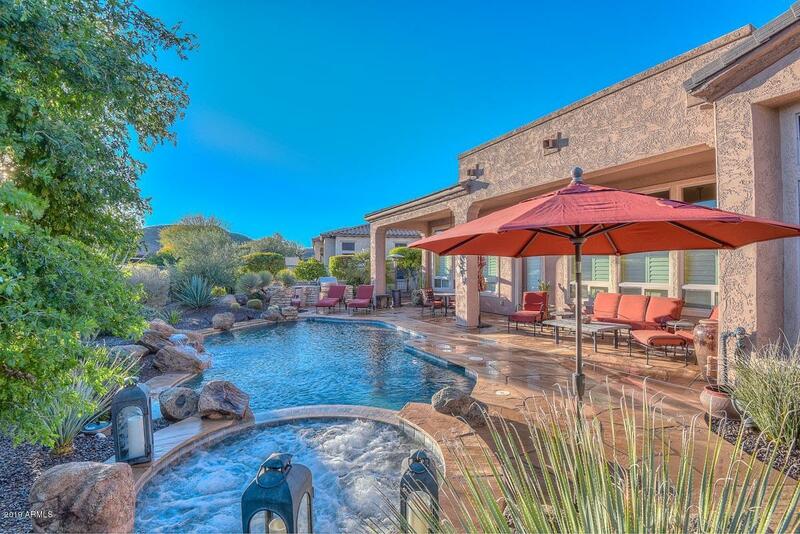 This home is exceptional in every way.